Stay up to date with all the latest mini bike racing events! Whether your goal is to keep your vintage Honda Z50 Mini Trail or CT70 going on the trails or to add some performance to your modern pit bike, CRF50, Grom, KLX110, or Z125 Pro, TBparts (Trail Bikes LLC) is here to help you with your parts and accessory needs. 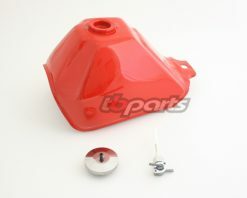 We carry a variety of aftermarket parts and accessories and our own line of performance and vintage reproduction parts. Our aim is to provide quality parts at reasonable prices, and to get them to you a quickly as possible (we don’t like to wait for parts for our own bikes and know you don’t either). Additionally, we are constantly increasing the lines of parts we stock. So, if you don’t see it now, we may have it soon! Z50, XR50, CRF50, CT70, SL70, XL70, XR70, CRF70, XR75, CRF80 / XR80, CRF100 / XR100, ATC70 / TRX70, TRX90, Grom 125 and an “Other” section. We also have sections for the popular Kawasaki KLX110 and Z125 Pro as well as sections for Motopeds and Chinese/Import pitbikes. Some sections are presently a little bare, but as we mentioned above, we will always be adding new parts to our Catalog.